Metal degreasing or degreasing is a process aimed at removing any residual grease from a particular element. "Removal of all grease residues" is not simply a matter of careful cleaning, but rather the destruction of every single oily molecule. This is a definitive process that can only be carried out by specialised professionals. At Bama we offer, among others, this service as a preliminary to the subsequent pickling and passivation and electropolishing operations. Metal degreasing is in fact essential because it allows you to return an object free of any contamination resulting from previous production cycles. Often, in fact, during the molding and blanking phases, it is very easy for the residues of the machinery used to affect the material. In the absence of adequate metal degreasing, the subsequent procedures would also act on the imperfections. This could potentially result in corrosion problems during machining following metal degreasing. There are many elements on which metal degreasing is applicable. 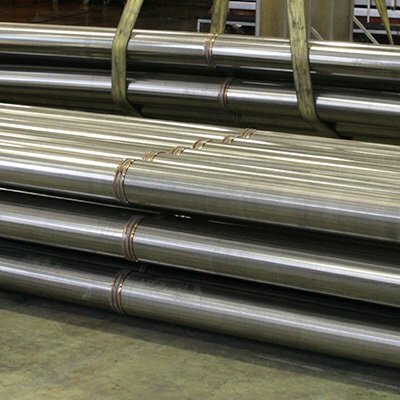 In addition to aluminium, stainless steel, carbon steel, copper, nickel, zinc and titanium can also be treated. All these processes are carried out by Bama in compliance with the relevant regulations and with the use of the most modern technologies, tailor-made for every need. Depending on the material and the conditions in which it is used, the best way to degrease metals will be chosen. The main agent is a solution containing a specially selected degreaser. Generally, metal degreasing takes place by immersing the material in a tank containing the degreasing agent, but in some cases a spraying technology is also used. The final result also depends very much on the selected agent, and for this reason Bama uses the utmost care in the selection and processing. Bama uses products that it also makes available to the customer, including Bama Pulismart. Even if degreasing metals is an operation to be carried out with extreme care, the technologies used by Bama today allow perfect cleaning in a short time.